This recipe is great special occasions since it includes very soft dough and fluffy cream inside. I have seen this at many weddings and places though I have never seen a recipe for it therefore Im made one. This cream includes fresh cheese cream, cool whip and apricot preserves. 1.) 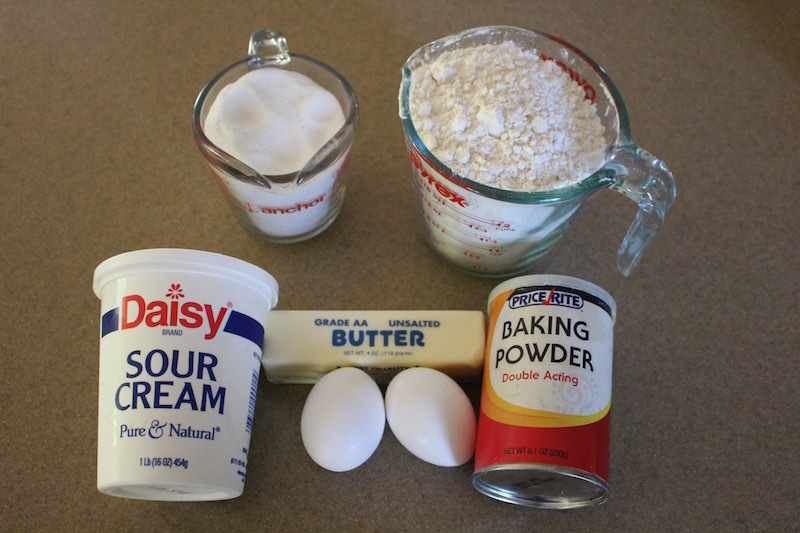 Add your sugar to a large mixing bowl, add 2 eggs and mix together well. Likewise add your soft butter and mix well. In a separate bowl add sour cream and baking powder and mix well. After add your sour cream mixture to your egg mixture, mix well and also add sifted flour to your bowl. 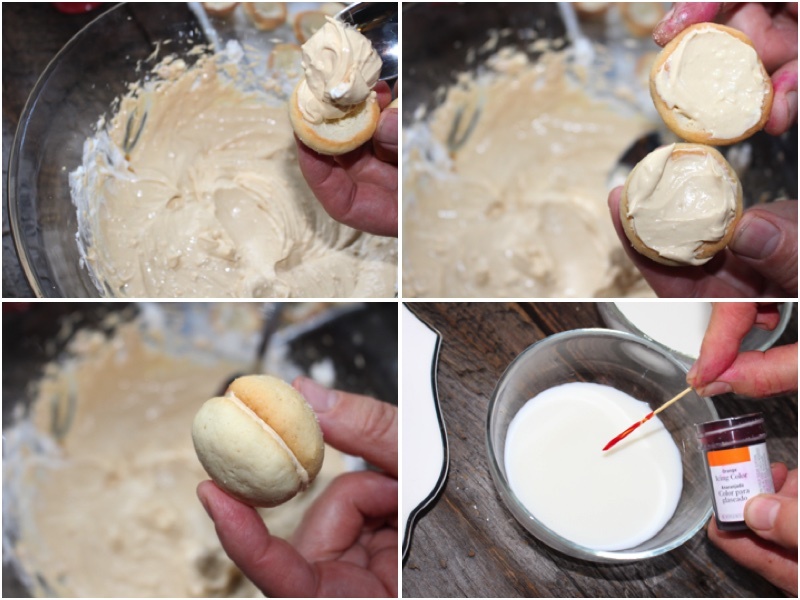 Mix together until you have a smooth elastic dough. 2.) Cover your dough with plastic wrap and let it sit in your refrigerator for 30 minutes. Using the help of a teaspoon, use your fingers to make small spheres. Place them onto a cookie sheet that has wax paper laid on it and bake for 25 minutes on 350F. 3.) 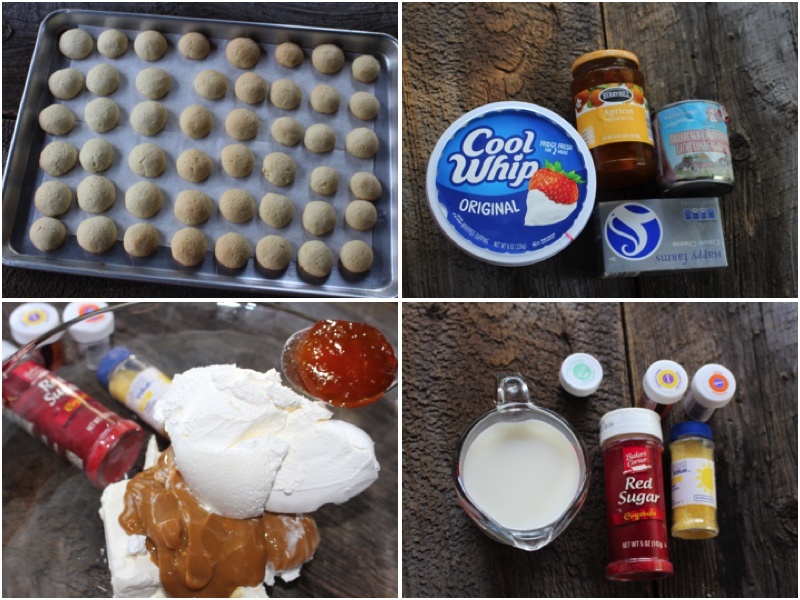 Take out your baked spheres and let them cool. 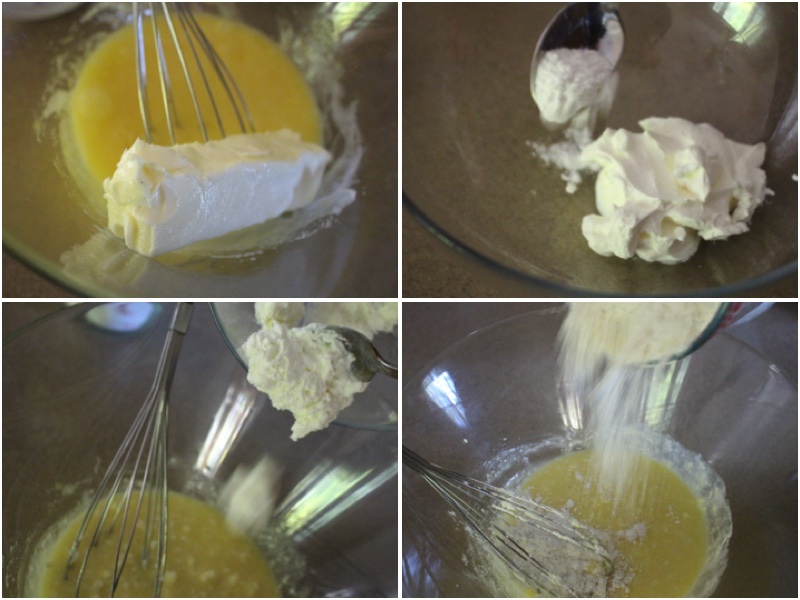 Place all your cream ingredients into a large mixing bowl and mix well. Bowl with your milk add yellow food coloring and mix well. 5.) Dip your peaches 1/2 into your yellow milk and then dip the same half into your yellow sugar. For the other side dip it into the red milk and then dip it into the red sugar. Repeat this process with all of your peaches and they should all look the same. Place in a serving dish and enjoy! This recipe is great special occasions since it includes very soft dough and fluffy cream inside. 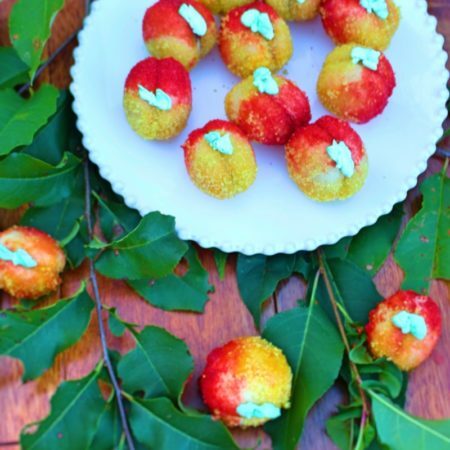 I have seen this at many weddings and places though I have never seen a recipe for it therefore Im made one. This cream includes fresh apricot preserves, heavy cream and more. Add your sugar to a large mixing bowl, add 2 eggs and mix together well. Likewise add your soft butter and mix well. In a separate bowl add sour cream and baking powder and mix well. After add your sour cream mixture to your egg mixture, mix well and also add sifted flour to your bowl. Mix together until you have a smooth elastic dough. Cover your dough with plastic wrap and let it sit in your refrigerator for 30 minutes. Using the help of a teaspoon, use your fingers to make small spheres. Place them onto a cookie sheet that has wax paper laid on it and bake for 25 minutes on 350F. 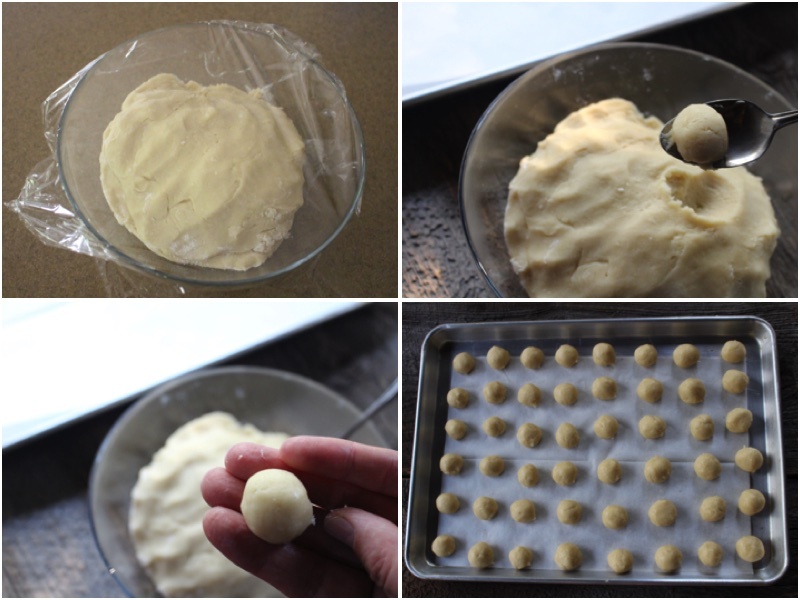 Take out your baked spheres and let them cool. Place all your cream ingredients into a large mixing bowl and mix well. 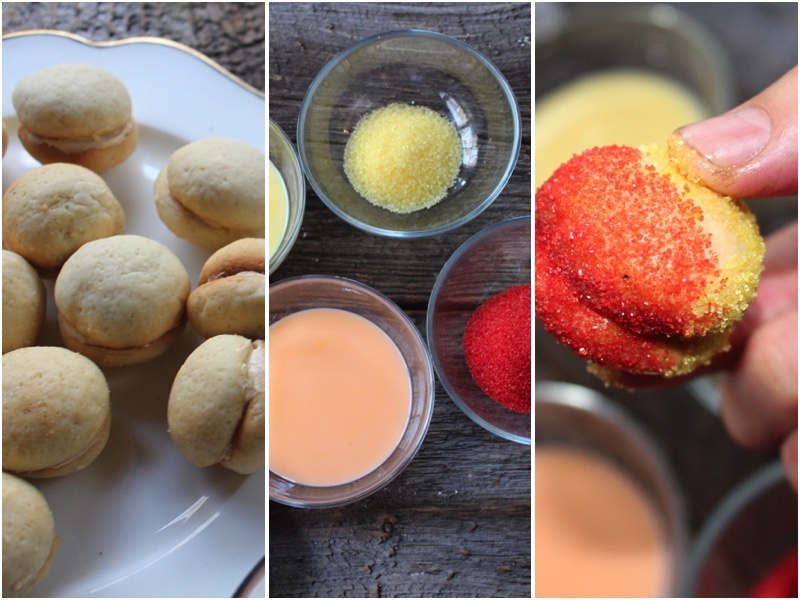 Dip your peaches ½ into your yellow milk and then dip the same half into your yellow sugar. For the other side dip it into the red milk and then dip it into the red sugar. Repeat this process with all of your peaches and they should all look the same. 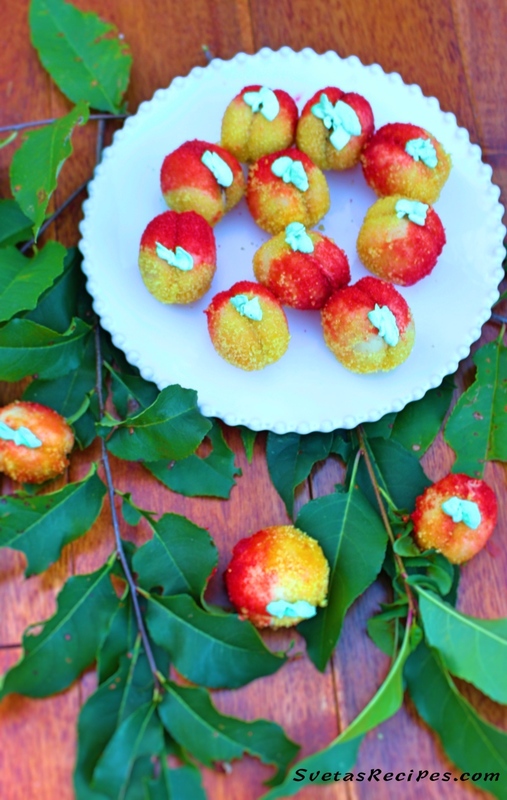 Place in a serving dish and enjoy!